Just What Exactly Is Horsepower? The term horsepower is certainly one that has been around for a very long time. It is synonymous with automobiles and motors. Horsepower is actually the amount of power that is being produced by the engine in order for it to perform the work that it has to do. 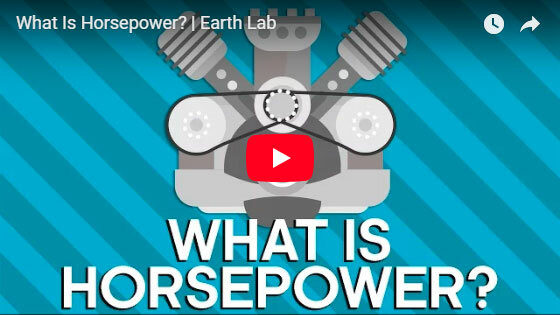 There is a more precise and complicated scientific equation as to the amount of power that equates to one unit of horsepower, but it simply is described as the amount of power that is being produced in order for something to do what it has to do. One unit of horsepower can be described as 33,000-foot-pounds per second. This means the amount of power it takes to move something that weighs 33,000 pounds, one foot in one second. Recent days have seen it being measured in watts. If you are looking for a vehicle that has the amount of horsepower that fits your needs, the first place one should come to is right here at Casey Jackson Ford!